Washington, DC -- Americans for Peace Now (APN) joins its Israeli sister organization, Peace Now (Shalom Achshav) in strongly condemning the new NGO Law, adopted last night by the Knesset, as a blatant violation of freedom of expression. 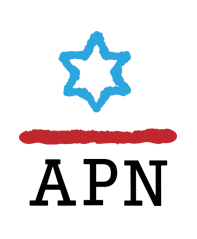 APN supports Peace Now’s intention to challenge the new law before Israel’s Supreme Court. As Peace Now points out, this law is tailored specifically to target only peace and human rights organizations. It intends to divert the Israeli public discourse away from the occupation, and to silence opposition to the government's policies. Peace Now points out that while the law will de-legitimize progressive organizations, pro-settler NGOs who receive millions of dollars in foreign donations without any transparency will remain unaffected. Unfortunately, this is only one of many pending laws leading to a severe deterioration in Israel's democracy. Peace Now last night vowed to continue to fight this ugly wave of anti-democratic measures in Israel’s court of public opinion, and to challenge the NGO Law's validity before the Supreme Court. For more on this new law, see here.